How to connect your Database to Statsbot? 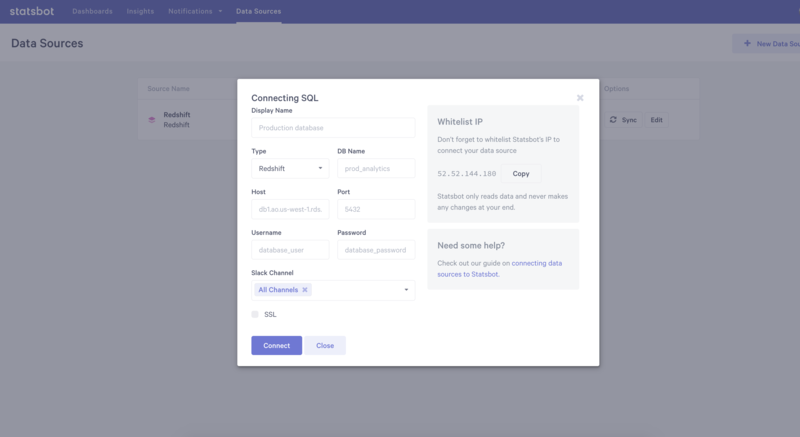 Connecting your DB is a first step to use Statsbot with SQL integration. Currently Statsbot supports BigQuery, Redshift, Postgres, MySQL, Vertica, PrestoDB, SQL Server and Oracle. 4. Start filling out the form by choosing your DB type and entering your DB name, DB Host, Port, Login and Password and hit the save button. If you experience any problems feel free to ping us in our support chat at the bottom right corner. 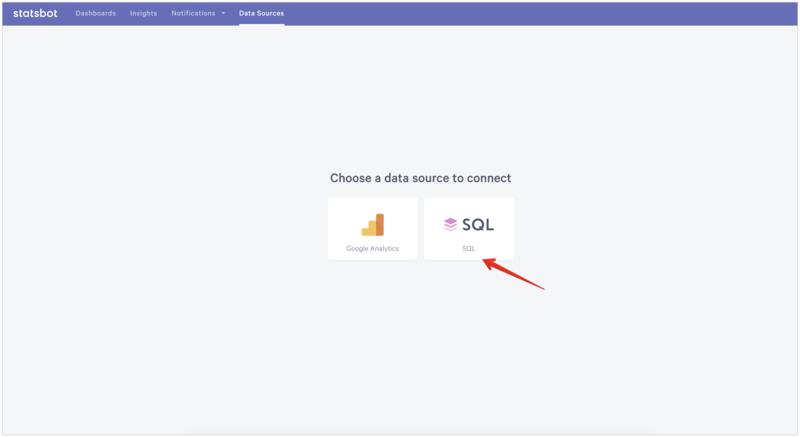 If you'd like to connect BigQuery, check out this article. 5. Hit the Save Button and you are all set. We also support SSH connections.